Associations & Nonprofits | Reichman Frankle Inc.
From science to education, industry advocacy to mentoring, RFI helps you find your voice, attract new members and fine tune your message through all channels of communication. We believe in the power of numbers…in the importance of collective will and of raising awareness on matters that enhance and improve our quality of life. We’ll make your mission our mission, delivering outreach that resonates with your audiences. RFI recently completed a rebranding of the association with a new logo, application to print and stationery items, and the website. 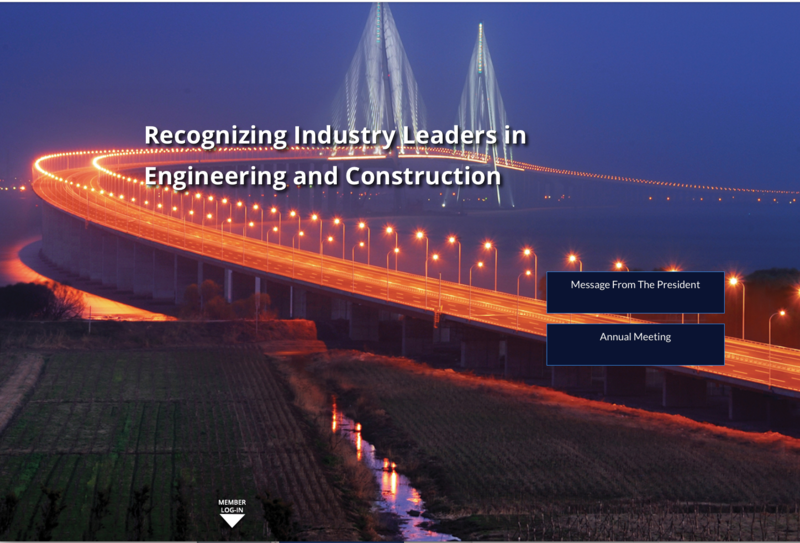 RFI has worked with NAC for several years to help create awareness of this prestigious construction association, by developing a list of marketing initiatives and recommendations, including a new, restructured website launched in 2015. RFI worked with the New York Building Congress’ Foundation to help establish and brand Construction for a Livable City (CLC). Based on a successful prototype in London, CLC involves a commitment by contractors to build safely and sustainably, and to enhance communications with the communities impacted by the construction. Dedicated to advancing the chemical sciences as a means of improving human relations and circumstances, the Dreyfus Foundation retained RFI to increase awareness and the flow of information to both the scientific community and the public at large. 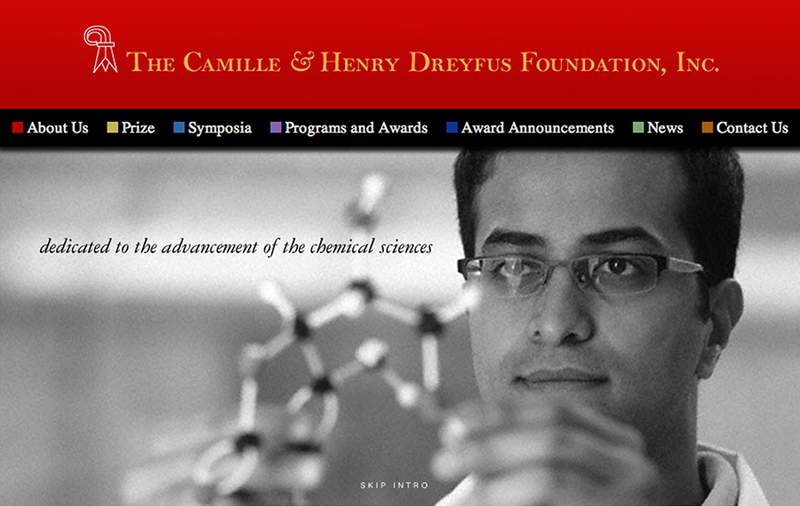 We developed a new, viewer-friendly website with easy access to grant program information and applications, coordinated creation of a video for use at symposia, and provide ongoing public relations support for the high level Dreyfus Prize and other newsworthy events. A longstanding supporter of education and mentorship of young women and men in the architect , engineering and construction industries, RFI has developed direct mail campaigns, coordinated events and provided pro bono services to this stand out industry organization for more than 20 years. RFI served as the PR and marketing communications consultants for this statewide advocacy organization for more than a decade, providing full service support including: rebranding, ongoing publicity generation, issue-oriented public relations and communications, print materials, video advertising, website development consultation and media relations. 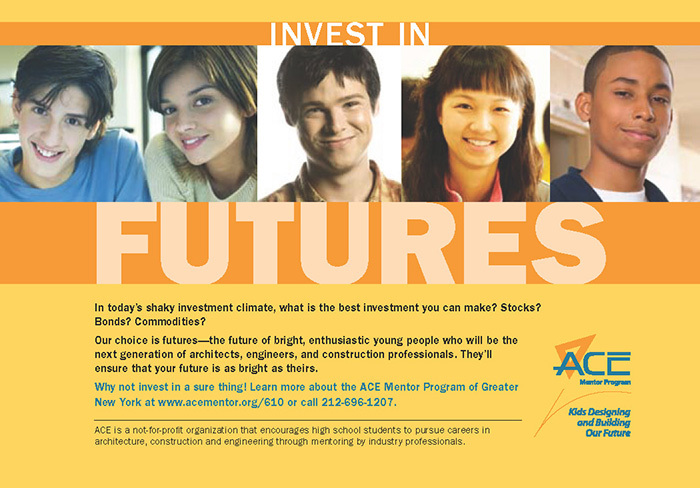 Among the greatest achievements was the development of an image advertising campaign that was used as a case study for promoting the industry by the National Academy of Engineering and was featured on the Disney ABC Jumbo Tron in Times Square; and the successful advocacy for a “Top Engineering Firms” list by Crain’s New York Business. 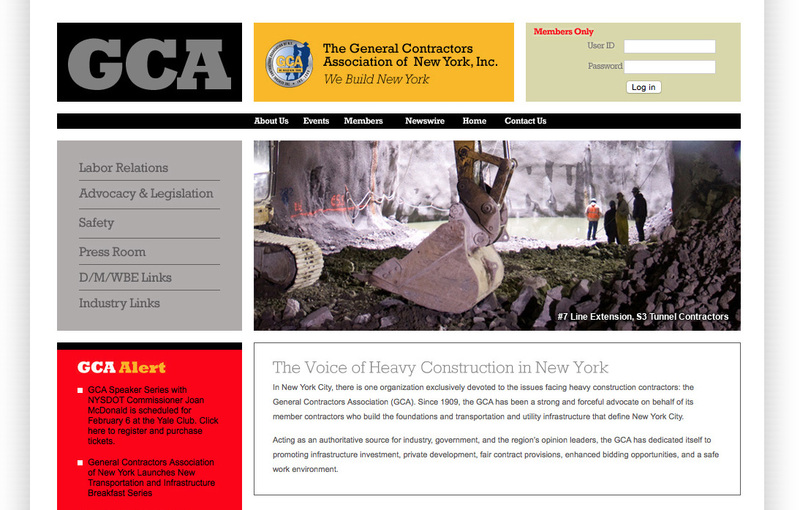 Exclusively devoted to the issues facing heavy construction contractors, the General Contractors Association (GCA) is a forceful advocate on behalf of its member contractors who build the foundations, transportation and utility infrastructure that define New York City. 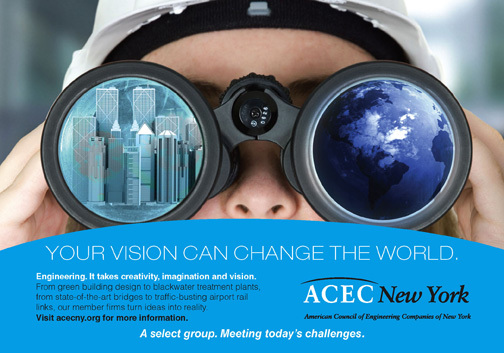 RFI has provided a broad range of services to the GCA including website development, annual reports, an organization brochure, and most recently a hard hitting profile in ENR New York on the topic of the fiscal challenges facing infrastructure investment.